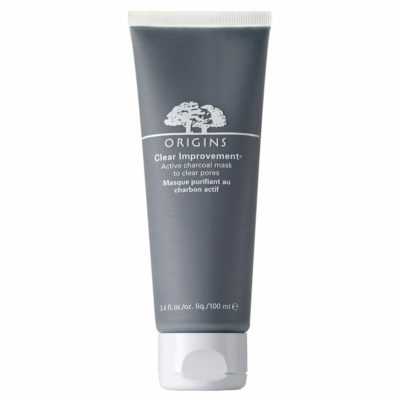 Origins claims that this mud mask dissolves impurities and that “your skin looks clear and feels perfectly pure”. Not the best. You would expect lots of natural ingredients from Origins, because of the logo, the brand etc, but frankly you are being mislead. There are a couple of ingredients that worried me, especially the high amount of PEG 100 Stearate. Some studies have expressed concerns about PEG 100 Stearate being applied to broken, or damaged skin. Without the natural barrier created by skin cells, wounds can provide a direct channel for this ingredient to become carried into the body. Eventually, this can lead to toxicity in the organs. * Therefore, anyone suffering from broken skin should exercise caution when using products with this chemical, and speak to their dermatologist about PEG 100 Stearate side effects. This also applies to individuals who have cracked skin due to dryness, as the small wounds provide a direct entry point for this chemical. Furthermore the ingredient list isn’t on the Clear Improvement Mask that spectaculair, I just don’t understand why they have used so much chemical ingredients? Applying the Clear Improvement Mask however is super easy and it feels awesome on the skin. Also the “washing-it-off process” is easy. Weirdest results we have had from a mask. Let’s start with the positive side: The mask makes your skin feeling refreshed. No the weird negative side: Somehow the Clear Improvement Mask had a pro-aging effect on my skin. Once I washed it off I saw all these new lines on my face, especially on the skin between my eyes. And also near the corners of my eyes where the “crow’s feet” would be. Horrified, I moisturized like mad and hoped for the best. Also my skin was a little red. The effect wore off after a few hours but I will never use this particular mask again. Not my favorite mask. Would not recommend the Clear Improvement Mask by Origins. Water, myrtus communis (myrtle) leaf water, kaolin, bentonite, butylene glycol, montmorillonite, polysorbate 20, peg-100 stearate, charcoal powder, xanthin gum, lecithin, peg-150 distearate, propylene glycol stearate, sorbitan laureate, glycerin, propylene glycol laureate, simethicone, caprylyl glycol, ethylhexylglycerin, hexylene glycol, trisodium edit, dehydroacetic acid, phenoxyethanol.